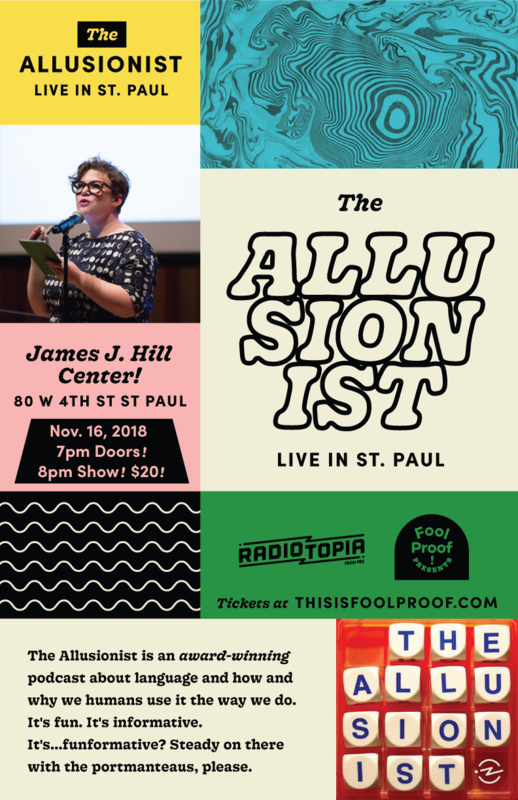 Fool Proof presents The Allusionist Live in St. Paul! The Allusionist is an award-winning podcast about language and how and why we humans use it the way we do. It’s fun. It’s informative. It’s…funformative? Steady on there with the portmanteaus, please. Helen Zaltzman produces podcasts, mainly Answer Me This!, and The Allusionist, part of Radiotopia from PRX. She sometimes turns up on the radio and sometimes writes stuff; she also makes things.